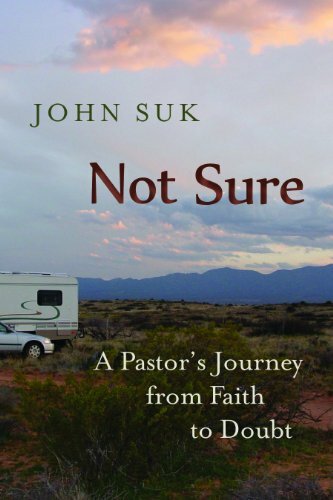 NOT SURE: A Pastor’s Journey from Faith to Doubt. By John Suk; Foreword by Nicholas Wolterstorff. Grand Rapids: Wm. B. Eerdmans Publishing Company, 2011. Viii +211 pages. When I was a child I believed in Santa Claus. Eventually I learned that Santa was really my parents, who would put out the presents from Santa. That experience was, to be frank, rather traumatic. There are many who would suggest that my belief in God is similar – I’ve just not grown up enough to admit this reality. One needn’t abandon faith entirely to experience doubt. In fact, our own faith journeys often take us from a rather immature faith in God that doesn’t look all that different from my former belief in Santa to something that is much more nuanced, a profession of faith that has a degree of doubt, perhaps a rather large degree of doubt. Sometimes the doubt isn’t expressed toward God as much as it is toward the institutions that enshrine faith for us. This is, in many ways, the story told by John Suk in Not Sure. Suk made a decision to leave behind this tense position while on a year-long RV trip across North America with his family. It was then that he discovered a yearning to return to the simplicity of an earlier faith while at the same realizing that such a prospect was not possible. After being raised in a deeply committed and loving Christian family; after attending Christian day schools, college, and seminary; after serving eight years as a church pastor and ten more as editor of the denominational magazine – after all this, I realized that my faith as usual had little currency. 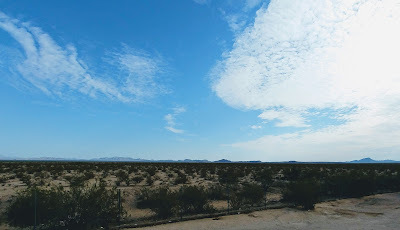 Looking out over the roiling ocean and feeling it deep inside, I realized that perhaps my upbringing and early career choices had made me into an accidental pastor. Maybe it was time to start over, maybe even without faith (p. 2). Such a realization is likely more common than many of us would admit. Indeed, his story may parallel our own, which is why a book like this resonates with us. Now, Suk doesn’t leave the church or the ministry. He doesn’t abandon the faith, but he is changed irrevocably. He continues to face doubt and yearns to return to that earlier faith and the dreams he dreamt as a young pastor just out of seminary, but that is not his story going forward. One person who would prove to be a helpful friend and confidant was Lewis Smedes, who discerned the concerns of this pastor by reading between the lines of what was written at the Banner. He also discovered that faith isn’t all that bad. It can have a benefit – offering an opportunity to take a second look at things. Literate faith has its benefits, but despite its rationalist nature, questions can emerge that undermine the certainty once possessed. Just as the modern era has begun to give way to a post-modern one where questions are more prevalent, so he began to see seeds of personal doubt get planted. He uses the imagery of erosion to describe this new movement in western history. You really can’t pinpoint the time and place where the process began, but over time certainty is lost. Encounters with those who are different or with new insights raise questions. Personal experience can do the same. Having to wrestle with issues like evolution and homosexuality would force him to rethink long held beliefs, and lead to doubt. Suk’s journey takes him through the loss and doubt that is magnified in postmodernism to what he calls a “secondary orality.” Suk understands the value of wrestling with doubt, but he is greatly concerned about the impact of a digital faith where we completely lose touch with a literate faith. We still can read, but we are losing our ability with comprehension – we don’t read as deeply as before and thus we miss multiple levels of meaning that are present in a more literate framework. He writes that “people don’t know what their church stands for compared to other churches, and they can’t be bothered to read long enough to figure it out.” Therefore, people are more likely to hop from one church to another “looking for a great experience” (p. 93). Thus, we are experiencing a new orality, and as a result we are returning to an earlier paradigm, where the conversation is marked by agonistic stories -- where superheroes/cosmic battles mark our sense of faith, one that is also marked by attraction to celebrities. In light of this journey from orality to secondary orality, which has in part left Suk with mixed feelings, he asks the question: what is faith? Though he is at heart a modernist/rationalist (I can empathize with him here), his experience with doubt has left him with the realization that the quest for certainty is an impossible one. Thus, he discovers that at its heart, faith is trust. It isn’t a propositional kind of faith, but rather it is covenantal – a sticking together in the journey. Faith is a covenant relationship, but not a “personal relationship with Jesus” in the modern evangelical sense. Such an understanding is too individualistic and it is confusing to people. For most of us, God’s presence isn’t experienced directly, and even in those biblical epiphanies it’s rarely that direct and never in a “personal relationship” sort of quality. If faith is not a personal relationship, it also has no “cash value.” Faith won’t free us from our troubles nor does it buy us things or personal happiness in life. As he nears the close of his book, he turns to his own Calvinist upbringing, the way in which he was formed as a person in a conservative Christian Reformed Community. The story involves doctrine, which formed his mental perceptions of faith, but also the Dutch tribalism of his community. There was also a concern for morality, or right behavior. These three elements – doctrine, ethnicity, and morality – helped define faith for him, and likely for many others amongst us. Ultimately this didn’t work for him, but it still remains part of him. In a closing chapter Suk brings the journey to a close, noting that while there may be a lack of certainty and even assurance, there remain the promises of God that nothing will separate us from God’s love. It’s not certainty, but there is room for trust. Something may have been lost with the transition out of literate faith, but there is something there that can sustain us. Thus, his story is not one of lost faith, but faith transformed in doubt. That is good news for many of us. I think this is a good book for pastors to read. Oh, it’s a good read for others, but as a pastor who struggles with doubt, I find it helpful to know that I’m not alone and that others have struggled with such things. We must go to the pulpit and to the table and offer words of faith and hope and sometimes we don’t feel it. It’s tempting to give up. Like Suk we may have our issues with the institution, but rather than abandon it, we continue on with a sense of hope, even if there is uncertainty. He continues to have his issues and he disagrees with many in his church on the role of women, evolution, and homosexuality, but he continues on as a pastor in the Christian Reformed Church. Yes, Jesus is no Santa Claus. One needn’t abandon faith entirely as one wrestles with doubts. In this, I appreciate the openness and honesty of this pastor who shares his story so that I might contemplate my own. The problem with many Pastors is that they believe that their congregations are Spiritual Ignoramuses, which many times is the case but there are also people who sit in the pews who just might be able to offer insights into the questions a Pastor is struggling with… insights that could bring the entire congregation into a higher level of understanding God. I applauded John for his openness in admitting his doubts and encourage him to continue. There is no question we need new leaders… but we need leaders who are not afraid to think outside the box. Thanks for the comments and question. I think we need to be honest about doubts and concerns. Many clergy find themselves, as John Suk did, in contexts that made this difficult. I find it interesting that he stayed with the CRC, though in a different position (and a different country). Having been forced to resign from a college teaching position for being too liberal and from a congregation because I didn't always do as they seemed to want, I know how difficult it is to venture out beyond the safety net. John has given us a helpful testimony to help us move forward, letting us know that there is hope beyond. I know all about those difficulties, Robert… having been fired from every job I ever had, including CRC Home Missions, for speaking out about prejudices on the Indian field and being court marshaled in the US Navy, after being wounded in Viet Nam, for participation in anti-war activities. It wasn’t until I swan beyond the net however that I realized that the net was not protecting me from anything, but was in fact holding me a prisoner.